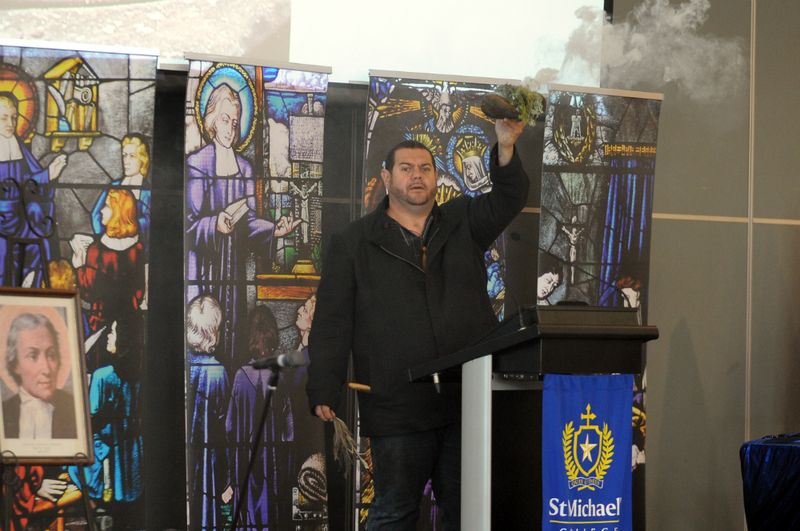 St Michael's College in Henley Beach, South Australia celebrated De La Salle Day on Friday 29th September. As well as celebrating the Lasallian heritage, there was a theme of Diversity, Inclusivity and Community and an Indigenous focus. Highly accomplished, Indigenous artist Allan Sumner spoke about the significance of his artwork in Founders Hall highlighting the relationship and respect for the Kaurna people and the lands where the College is now situated. This was particularly relevant as it was the 50-year anniversary of St Michael's College being on this land. This was followed by a smoking ceremony conducted by Allan, which involved smouldering various native plants to produce smoke, which are believed to have cleansing properties and ward off bad spirits. Band members from the Apakatjah Band (Johnathan Lindsay-Tialaltjarri Hermawan and Dion Forrester), then read poetry in both English and his indigenous language and entertained the students whilst raising awareness about Indigenous issues. The focus then turned to De La Salle with a reflection on his life and a Prayer Service. Students who had recently attended the Lasallian Youth Gathering in Sydney spoke of the event and the sense of community it had generated and encouraged others to take the opportunity to attend. The College Captains, Anthony Seager and Pamela Carrera inspired the crowd with their creative talk which they intertwined with the day's theme. The coloured balloon props were a highlight amongst the crowd, both young and old. Lastly, former Headmaster Br Paul Rogers, reminded the students of the great opportunities the College provides students today compared with previous generations. He also spoke of and the importance of the support given to our twinned school in Pakistan and the provision of education for less fortunate communities. In a College first, the service ended with a rousing rendition of the song "We are Lasallian" lead by Director of Music, Tim Donovan and the College musicians. 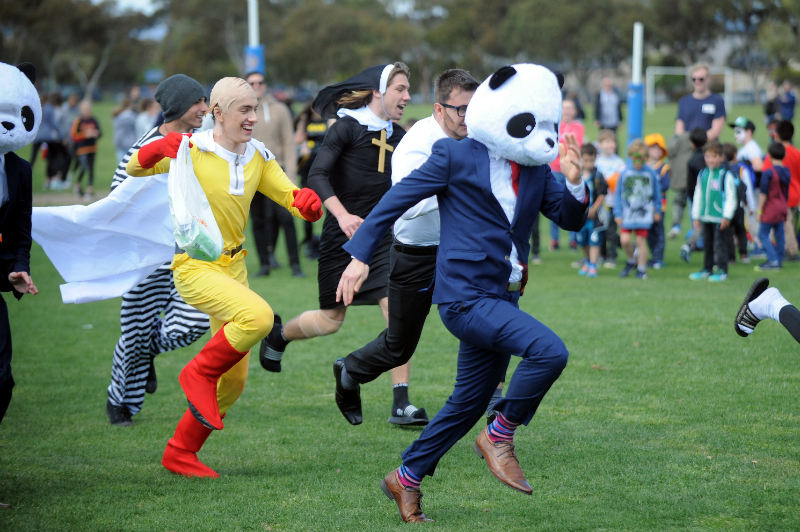 The rest of the day was spent enjoying the Festival of Youth with the students participating in various activities including a mascot race, sideshow alley, face painting, jumping castles plus the annual staff versus student netball game. "This is my seventh De La Salle Day and I always look forward to them. We all come together as one at the Secondary Campus to celebrate being Lasallian and raise money for our twinning school in Pakistan".